Children develop more rapidly during the first five years of their lives than at any other time. That’s why they are called the foundation years – the building blocks for life. 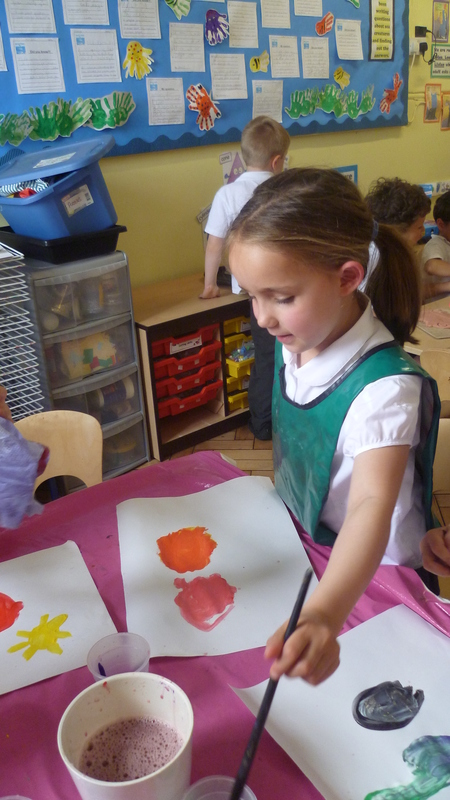 The foundation stage lasts from birth to the end of Reception. It prepares the children for learning later in life by introducing the basic skills and knowledge of each subject of the National Curriculum. At the heart of all teaching and learning in the Foundation Stage is play. Learning for young children is a rewarding and enjoyable experience in which they explore, investigate, discover, create, practise, rehearse, repeat, revise and consolidate their developing skills, understanding and attitudes. During the Foundation Stage many of these aspects of learning are brought together effectively through playing and talking. Play, both indoors and out, is an essential part ofeach child’s development. Children learn best by doing things they really enjoy so most of our learning activities are play-based, active and fun. Activities are carefully planned to develop new skills and areas of knowledge and understanding. The staff assess the children through observation and questioning to see what is the next step in the child’s learning. Our staff are skilled in providing the right balance of challenge and support to take the children forward while maintaining their confidence. The Foundation Stage curriculum areas of learning generally overlap, and children often experience cross curricular activities. A lesson based around spiders, for example, may include drawing spiders, tracing web patterns to develop basic handwriting skills, counting and adding to create 8, role play and science work using magnifying glasses, cooking spider shaped biscuits and singing songs about spiders! In Farncombe School children are encouraged to develop characteristics of effective learning. These include taking an active interest in new experiences, building concentration and attention and developing confidence and resilience. These aptitudes will serve them well as they progress through education and life. Our curriculum for Reception is centred around activities which will help to foster these. The Foundation Stage curriculum comprises of seven areas of learning and development. We know that learning is about making connections and staff use a variety of approaches, strategies and activities to ensure that we meet the learning needs of each child. Children learn best when they are happy, safe and secure and remember things when they are ‘engaged’, active and involved. As children reach the end of Reception, their learning is assessed against the criteria of Early Learning Goals (ELGs). In 2016 76% of Farncombe Infant School children reached a ‘good level of development’ in these goals, meaning that they were very well prepared for the curriculum of Year 1.